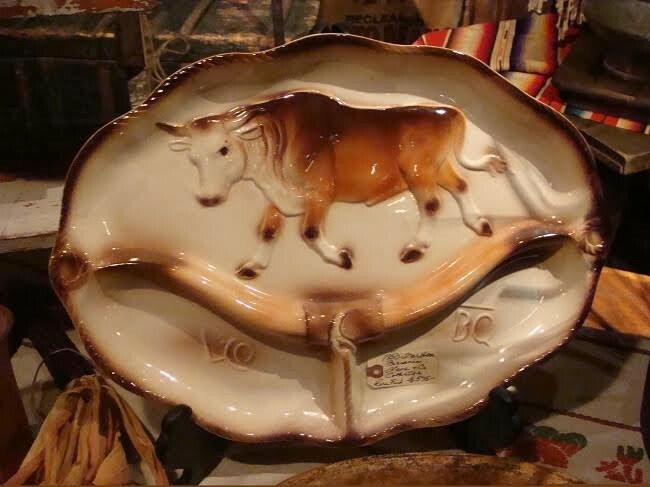 Rare 1950 Texas Longhorn Steer Platter by Lane Company. Rare 1950 Texas Longhorn Steer Platter by Lane Company. Please email cowboycabin@centurytel.net with questions or call 406 270-2842.